South Lake Havasu City is one of our favorite and most popular areas of town. Here you will find great schools such as Starline Elementary, Jamaica Elementary, Calvary Christian Academy, and Havasu Prep Academy. This area features great neighborhoods such as Osborn Estates, GlenEagles, and Havaus Foothills Estates (border of South/Central). Conveniently located is the Bashas Grocery strip center, restaurants, and Sara Park which offers: baseball fields, dog park, hiking, mountain biking, BMX track, Rodeo Fair ground, Havasu 95 Speedway, and much more! Also, just a few miles south is Cat Tail State Park, a locals hot spot of launching your boat! For more info on this area, please contact The COLLINS TEAM. Listings last updated Apr 23, 2019 1:07:am. Northern Arizona listings last updated Apr 22, 2019 10:32:pm. 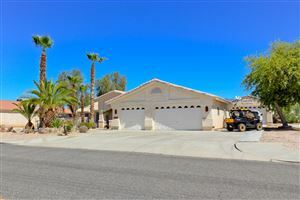 Lake Havasu listings last updated Apr 23, 2019 1:12:am.